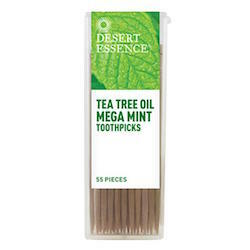 Enjoy a sweet burst of freshness with this powerful blend of neem extracts and essential oils that helps keep teeth clean and gums healthy. Used widely in Ayurveda, neem is renowned for its dental care benefits. The natural burst of pure peppermint and wild mint oils leaves breath fresh and cool while 100% pure Australian tea tree oil helps boost cleaning action. Ingredients: Harvested from sustainable Birch wood and infused with a burst of tea tree oil and wild mint oils with neem leaf and bark extracts.